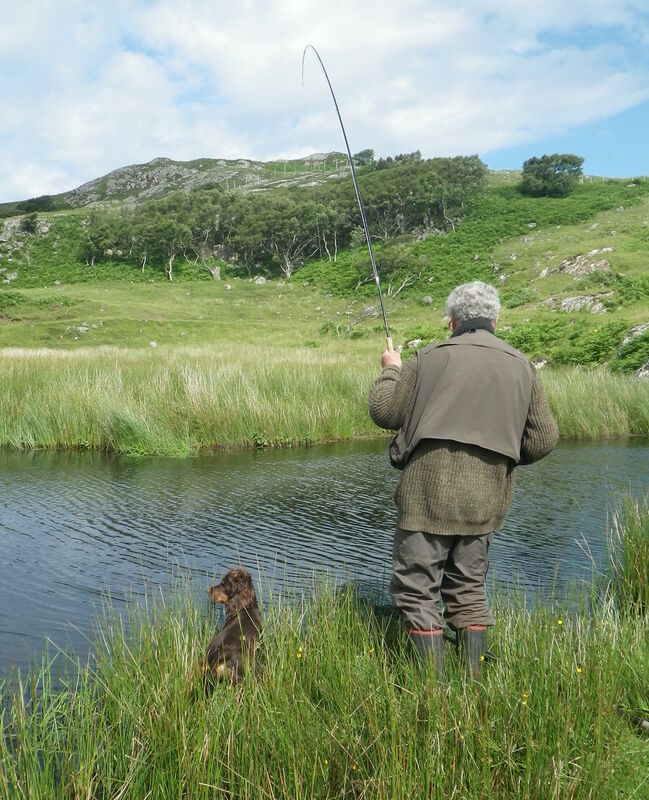 The lodge is let with the fishing on the River Polly. 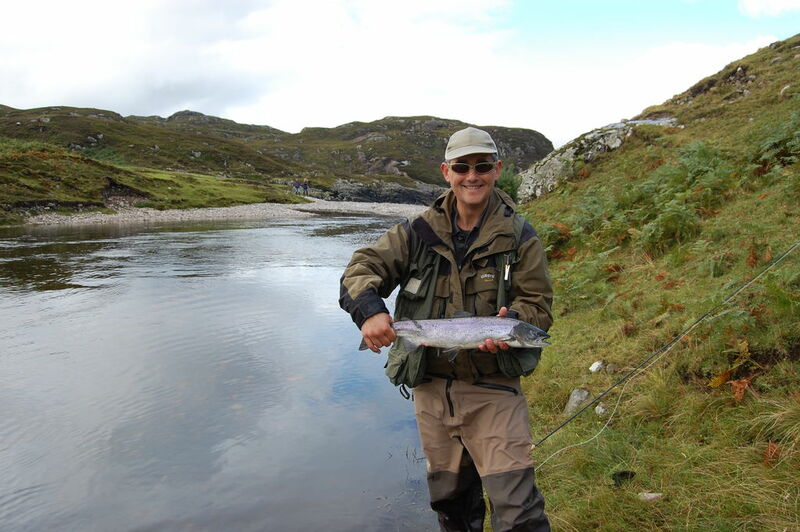 The river has a good run of salmon and grilse through the summer and is unique in that the fish have a short run up the beach (where there are 3 fishable pools) and then they are in a slow but deep stretch of river in front of the lodge. 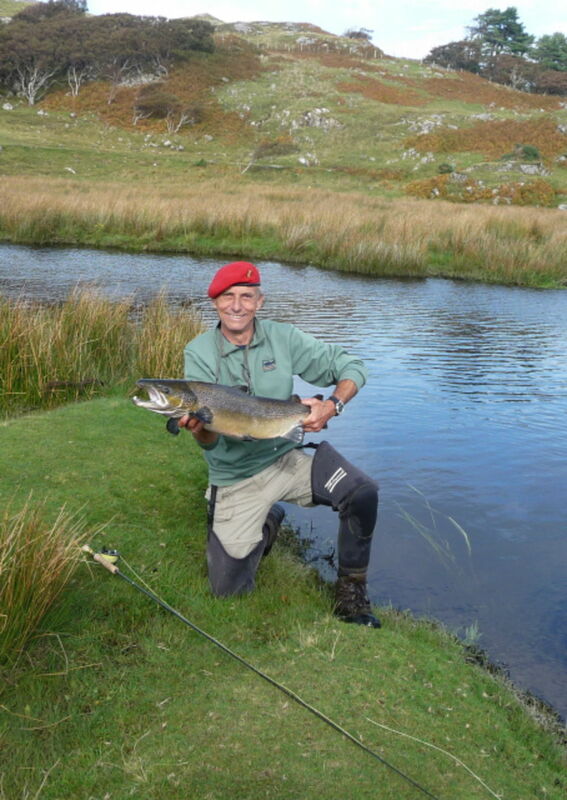 This means that salmon can be caught even in dry years though a spate improves sport. The river fishes best in a breeze and single handed rods are the norm. 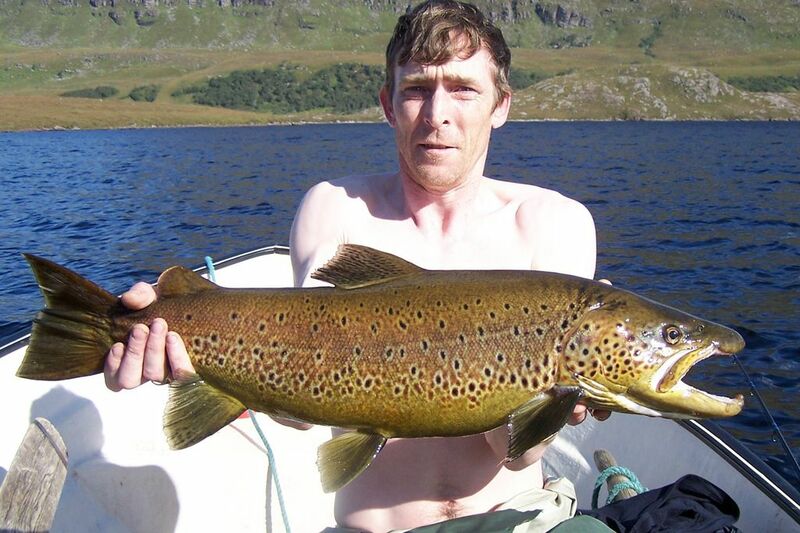 Sea trout and resident brown trout are also caught some of the latter of good size. With the lodge there is a boat with an outboard engine on the magnificent Loch Sionascaig. 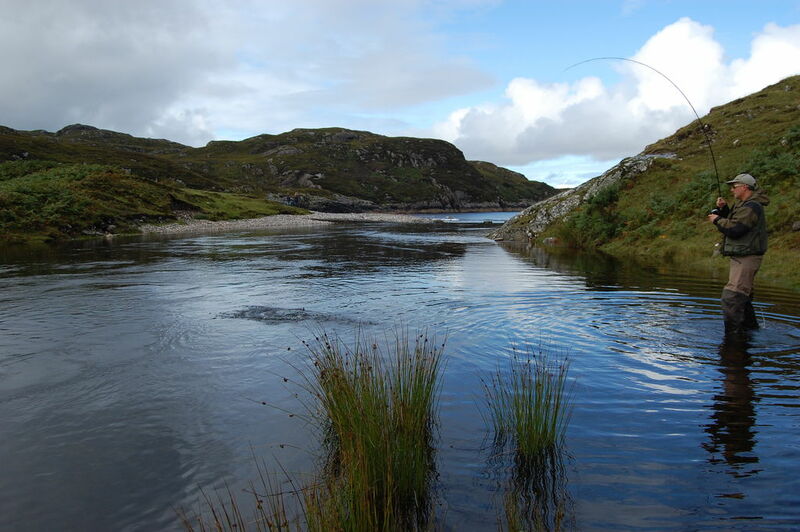 This large loch, a Special Protection Area, is one of the most beautiful in Scotland and has superb brown trout fishing with many hard fighting fish in the half pound to a pound range but larger fish are frequently caught. 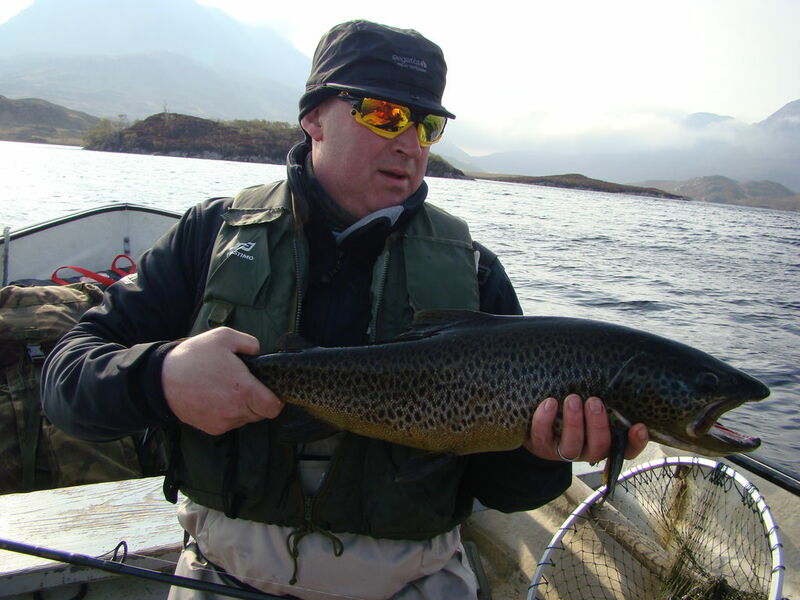 There are very large ferox trout and also artic char. There are several hill lochs that are well worth a visit too. There is also a small sea boat for pottering around the shore and sea fishing with plenty of large pollock, mackerel, wrasse and occasional cod being caught. There are a few creels available for crab and lobsters too.